First I want to thank Heidi for inviting me to be her guest today. 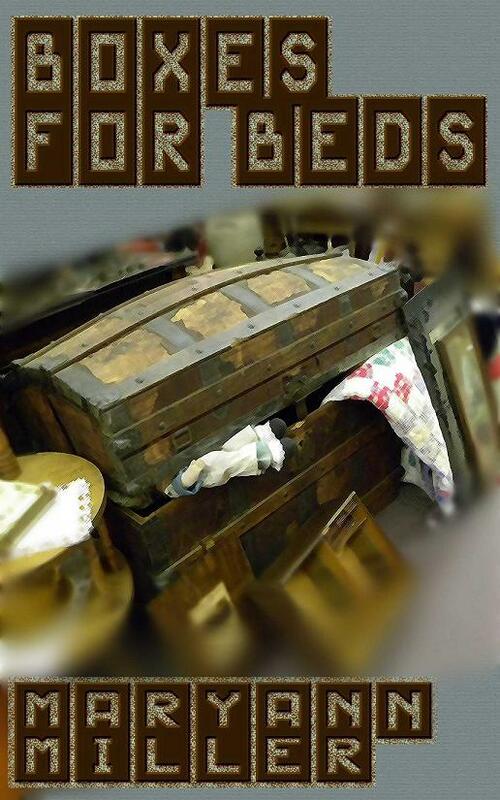 I am so pleased that we have become cyber-friends, and I was honored when she asked me to share something on her blog about my book, Boxes For Beds. The story idea came to me when I read a small newspaper item a number of years ago about a mystery in Arkansas. It seems that when a woman died and authorities went into her home, they found skeletons of babies in boxes in her attic. Apparently the woman had never married and lived alone in an old farmhouse on the outskirts of a small town. The people who knew her thought she was a sweet old lady, and all were shocked when the grisly discovery was made. Nobody knew where the babies had come from, or how the skeletons ended up in the attic. Wow, what fertile ground for a writer’s imagination. I immediately started filling in some of the blanks and characters began to take shape, as well as motivations. There had to be a plausible reason for someone to have dead babies in their attic. I don’t want to say much more about that, as I don’t want to give away the important elements of the story and spoil it for potential readers, but nothing is spoiled if I explain why the story is set in 1961. I wanted to have the county sheriff be corrupt, and while it is not unheard of to have a corrupt sheriff in 2013, I thought it would be interesting to tie into the fact that the mob out of Chicago controlled much of Hot Springs up until roughly 1965, especially at Oak Lawn Racetrack. If the sheriff was controlled by the mob, it would make sense that he closes kidnapping cases as quickly as possible before any Federal authorities go involved. Of course, that meant I had to learn all I could about Hot Springs and neighboring towns from that historical perspective. One of the first places I went to was the Hot Springs Chamber of Commerce, and they sent me several brochures about the bathhouses and other places of interest. One of those places was the Gangster Museum, which turned out to be a treasure-trove of information. One of the things I found out was that the mob leaders would often come to Hot Springs for meetings, staying in the hotels, visiting the bathhouses, and taking care of business while they were there. Working that into the story added a lot in terms of motivating the sheriff while adding some historical interest. My initial research was done via the Internet and through the material sent by the Chamber, but I did take a trip to Hot Springs just as I was finishing the book. I thought it was important to see some of the places I was writing about, as I have a hard time describing something I have not seen. That is why I don’t write fantasy or science fiction. I would be hopeless trying to create whole new worlds and societies, and I admire those who can do that and make it seem to seamless. For accuracy in reporting, I also though I should probably visit one of the bathhouses while I was in Hot Springs. Not just interview people like I have done with research in the past, but actually have the whole spa experience. After all, I was going to have my central character, Leslie, visit one of the houses, so I needed to know what it was like. Right? Leslie and I both enjoyed the wonderful hot springs in Hot Springs, Arkansas. Maryann Miller is a best-selling author of books, screenplays and stage plays. She started writing as a child and dreamed of fame and fortune. She’s still dreaming. However, she is thrilled at the attention that some of her books have received, including Boxes For Beds. It is her first indie release and has already received some good reviews on Amazon. 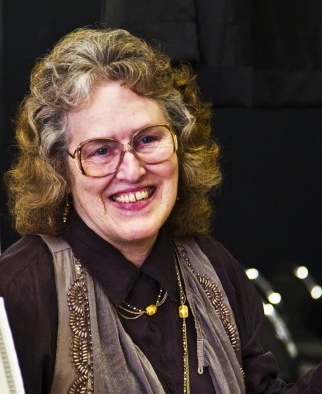 Miller has won numerous awards for her screenplays and short fiction, including the Page Edwards Short Fiction Award, the New York Library Best Books for Teens Award, and first place in the screenwriting competition at the Houston Writer’s Conference. She has been writing all her life and plans to die at her computer or out in her garden in the beautiful Piney Woods of East Texas where she lives with her husband, one horse, one goat, one sheep, one dog and four cats. The cats rule. It struck me the other day as I heard this conversational question several times from different people…I haven’t heard that since I lived in eastern Montana! The past 17 years, while I lived in Mount Vernon, WA, the question was more likely to be “Think we’ll have a summer this year?” Rain and clouds were plenty—300 days of them—with averages of 30-40 inches annually. Sunshine, not so much. I grew up in the semi-arid high plains in Montana where drought was common. Rainfall might average 10-13 inches a year, depending on the area. 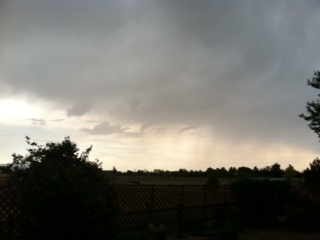 I remember watching the clouds with my dad and wondering if it was going to rain…or hail…or just dry lightning. Following is an excerpt from my book Follow the Dream, when Jake and Nettie are watching the sky, hoping and praying for life-giving rain. Spring rains never came this year. The little bit of grass that came up is nearly gone. Used up rest of the hay already. Jake’s not himself. I’m really worried. When they watched the skies now, it was with a tingling sense of hope and dread. The clouds built up over the rims, dark and angry, then dispersed as the hot winds blew them to nothing. In June, Jake had only shrugged when the thunderheads passed over and splattered just a few hard raindrops like bullets into the dust. There was always a chance that the next storm would dump its load and the grass would come back, resurrected from its hardpan grave. Each time the sky grew dark, Nettie ran to gather clothes from the line, shut the windows in the house and bring four-year-old Neil in from riding his stick horse. While their son played cowboy on a saddle in the kitchen, she and Jake prepared themselves, anticipating the long, drowsy afternoons of gentle rain when they could rest without guilt, and just be together as the earth replenished itself. But disappointment always followed one brief, hopeful interlude after another. As summer wore on, the clouds produced nothing more than a frightening display of heat lightning, the air so charged with electricity that the hair on Nettie’s arms stood up. 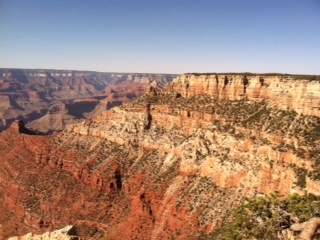 She thirsted for a view of something green, the smell of new grass. A silent vigilance overtook their lives. She watched the tension pull at Jake, his hopeful expectation as the sky darkened, the half-smile when he heard the first clap of thunder, and then the slump of his shoulders when the storm again passed them by. Her heart ached for him, and fear built inside like the thunderheads on the hills. 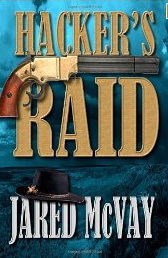 Hacker’s Raid by fellow author and friend Jared McVay is an action-packed, energetic novel. Jared is a master storyteller and his talent comes alive on the pages of his second novel. I enjoyed the adventures of Justin Hacker in his quest to break his brother, then his father and uncle out of a notorious Mexican prison. Jared often offers buyers a packet of tissues when they buy one of his books, and you may just need one for this book too. Jared, tell us how you came to write a western? She was right on all accounts, so the next day I sat down and began to write. After the first chapter, I left it for a few days, then came back and deleted the opening, which was totally wrong, and started over. Not sure why it was wrong, just knew that it was. This time I turned on a switch in my head and watched a movie and wrote down what I saw. It was just that easy. The story, the characters the location was all, right there in the movie inside my head. Of course the editing was the hard part – cleaning up all my grammar errors. Synopsis: After a seven year exile, Justin Hacker returns to his hometown of Nogales, Arizona to try to break his younger brother out of a Mexican prison where he awaits the hangman’s noose for crimes he didn’t commit. But first, Justin must overcome certain obstacles, such as a town bully, a Mexican bandito and his gang, an Indian attack, a father who has vowed to shoot him on site should he ever return, and match wits with a maniacal prison warden who hates gringos. And if that isn’t enough, after several twists of fate, Justin leads the whole town back across the border in an attempt to rescue both his father and uncle from the dreaded Mexican prison where they now await the hangman’s noose. I’m not usually a fan of westerns, but I found, “Hacker’s Raid” interesting and engaging. The characters are very personable, whether hero or villain – and real! They led me through a story laced with smiles, tears and even a gasp or two, always leaving me wanting more. A very worth while read. Jared McVay is a veteran Hollywood movie and television actor, who now lives in Bellingham, WA. 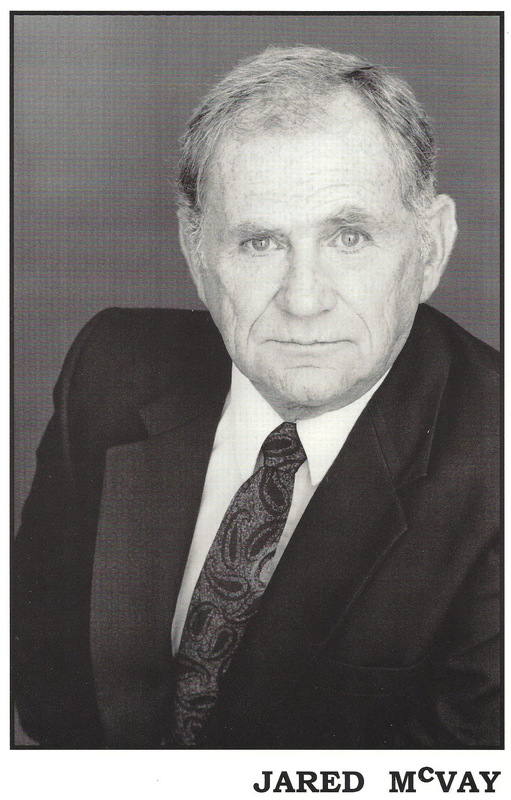 He has had a long-time love affair with the old west and enjoyed roles as an actor in western films on the screen and stage. He has published several western short stories, a children’s book Bears, Bicycles and Broomsticks, and a historical novel, The Legend of Joe, Willy and Red. Follow him on his website and his blog, Jared McVay’s Scribblings. 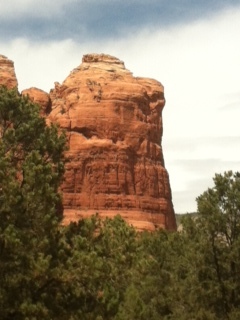 While my sister-in-law was visiting, we had the wonderful opportunity to enjoy some great music this summer and do some sightseeing around my new home state of Arizona. Prescott and the Quad-Cities area has something going on every weekend and in between, it seems, so one never need get bored. Every Saturday the Granite Creek Vineyard in Chino Valley features live music. 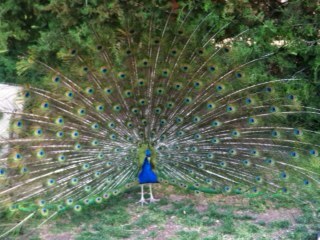 My first visit there was very enjoyable, listening to the Denise Allen Band, and then witnessing a fabulous up-close show by a male peacock, struttin’ his stuff. A couple of weeks later, a return trip was rewarded with a hen and chicks sighting. Another weekend I participated in a Cowboy Gathering in Dewey Humboldt. 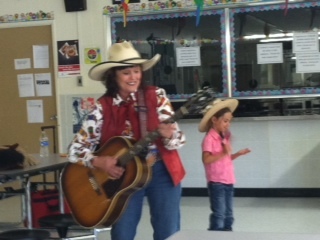 I had the opportunity to talk about my books and to meet other authors, cowboy poets and musicians. 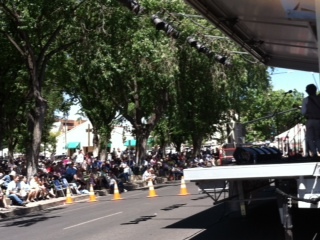 Then there was the Bluegrass Festival on the Courthouse Plaza in Prescott–what a toe-tappin’, boot-stompin good time! 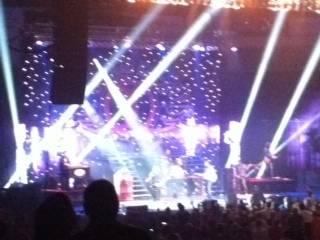 And, just before my sister-in-law returned to Spokane WA, we went to the Elevate! Christian Concert in Prescott Valley, where we heard Jars of Clay and Third Day in concert. And the summer isn’t over yet! Today we as a people celebrate one of the most important days in history: July 4, 1776, when just a handful of brave men did the unthinkable. They told the most powerful government on Earth that Americans would no longer live under their rule. They declared that Americans were free – not the subjects of a king. 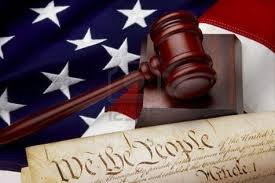 Thomas Jefferson wrote in the Declaration of Independence that all people have inalienable rights that no man, king, or government had the power to take away. Have fun today and through the weekend, be safe, and remember what July 4 stands for!